The single most expensive mistake most small business owners make when it comes to protecting their company data. The universal misconception business owners have about their computer networks, and how it can end up costing between $9,000 to as much as $60,000 in damages. 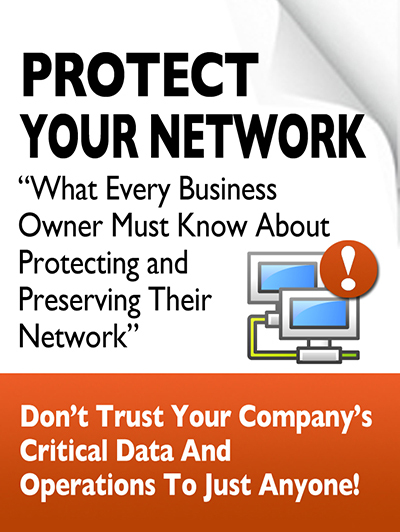 6 Critical security measures every small business should have in place. How to greatly reduce – or even completely eliminate – frustrating crashes, slow performance, and other annoying computer problems. How to avoid expensive computer repair bills and get all the computer support you need for a low, fixed monthly rate. Click the link to the right to download your report. For more than 15 years, Marchese Computer has provided us peace of mind knowing that we have the latest updates and protection without us having to do a thing. For our 24 hour business, Marchese Computer is always very responsive to any issues that happen no matter what time of the day or night. MCP has “bailed us out” on a number of occasions. They always make you feel that you are their most important customer. We would not go anywhere else. We have worked with Marchese Computer Product, Inc. for more than 15 years and the single biggest benefit to our company is their responsiveness to our needs. They have always made themselves readily available to provide all of our technological support no matter what the circumstances. I have never had the need or the desire to work with any other IT firm as the Staff at Marchese Computer is well educated and versed in all IT Solutions. For any IT solutions we have needed at our Law firm they have provided efficient and on point services at a reasonable price. Took the worry and complexity out of IT for us. We moved to Marchese Computer’s managed services so we could take the worry and staffing needs out of IT. Paul and his staff have provided personal service and spot on recommendations to us of over a decade and they always are willing to go the extra mile in making sure our goals are met within budget.. Simply put you should call Marchese Computer today, you won’t be disappointed.. The simple answer to why Marchese computer over our old provider is Knowledge, fast service, and they never tried to sell me something I didn’t need. They listened to what our needs were, explained the technology and guided us through integrating our two facilities with Phones, Video, Firewalls, and internet connections. Marchese Computer stands behind their work and stays until the job is done. They are a local company with a lot of year’s experience. You can rely on the local guys at Marchese computer.